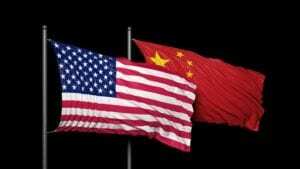 According to a recent article in Juwai.com, Chinese property investors are still finding the American dream alive and well. Many of these investors are focusing on California, Florida, New York, Texas, and Washington state as these are the five favorite US states for Chinese buyers. Major cities such as St. Louis, Gainesville and a Seattle are the next rising hotspots to watch for Chinese property investors. The US ranks as the #1 medical destination for Chinese HNWIs (high net worth individuals) and the US offers many incentives to entice Chinese buyers. Despite China’s recent economic turmoil, many investors, who already own properties in the US are looking to diversify their assets by investing overseas. Many investment buyers prefer new apartment buildings as this is very common in China. Immigration investors prefer to live in established Chinese communities while education buyers seek apartments close to US universities, colleges, and secondary education facilities. Chinese are also part of the top five most prolific international homebuyers in 46 out of 50 states. Chinese buyers spent nearly $28 billion on American real estate and many plan to retain their spot as the largest group of foreign property investors In the US. This is compared to the $22 billion spent in 2014 and just $12.8 billion spent in 2013. 39% of investors use the property as their primary residency and 23% by with rental investment in mind. Just 7% purchase a home in the US as a private accommodation for their children studying in the US, which can also double as a vacation home. If you are interested in learning more about ideal properties for Chinese investments please contact Mary Pong today.